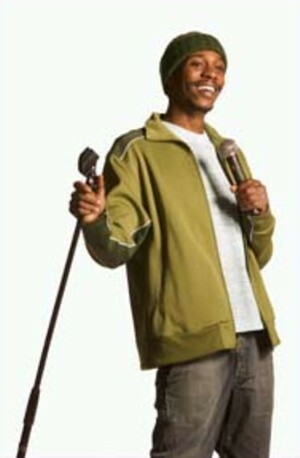 DAVE CHAPPELLE is the MAN! But we already knew this fact, there is just no other way for me to lead this damn thing off. The DAVE CHAPPELLE Block Party on saturday was so historic and monumental an event that I almost cried. KANYE WEST opened the show. FREEWAY and MOS DEF got down on the cut ‘Two Words’ and KANYE brought out the Central State Marching Band to help him with the track ‘Jesus Walks’. The show just got more fire from there on. DEAD PREZ was up next and they had us all raising our right fists for the R.B.G.’s. Everybody was really “wilding” by the time they closed their set with the song ‘Hip-Hop’. The crowd was going wild bananas for the DJ sets between acts that featured classic Brooknam artists like B.I.G., GANGSTARR and even JEHRU the DAMAJA(who came thru and chilled with the crowd). After the D.P.’z we got a nice little set from ERYKAH BADU. She is looking beautiful and back to her 100lb self. She and COMMON did their hit together, ‘Love of My Life’. There was so much love on the block right then I wanted to tongue kiss someone. Too bad I was surrounded by sisters that hate me, well, not all of them hated me, but the ones that didn’t had to play along with the haters. DAMN! ERYKAH caught us all by surprise when she jumped into the crowd to body surf. She still crazy. JILL SCOTT came onstage next and blew us away with her majestic voice. I love JILL like my sister so that makes the thought of me making out with her incestuous. She and ERYKAH both smelled delicious. The ROOTS crew got down next. BLACK THOUGHT rocked the mic, ?UESTLOVE was killing percussion, and even MARTIN LUTHER joined them for their set to play lead guitar. ROOTS crew is one of the greatest hip-hop experiences you will ever enjoy. These dudes are professional musicians that know and love hip-hop. They began to play the music from the KOOL G. RAP song, ‘Streets of NY’ when G.RAP comes up onstage and starts rhyming. Then they go to the G.RAP hit ‘Poison’. My energy is starting to bubble crazy like I am 16 years old again. After that my man on the bass starts playing the bassline to ‘Warm It Up Kane’ and I already knew that BIG DADDY was going to jump out onstage. Can you imagine what Bed-Stuy was feeling seeing KANE onstage doing his hit songs. Like my man GUDTYME said to me, if SCOOB and SCRAP had been onstage dancing… it would have been chain-snatching time. The ROOTS crew is real hip-hop. Please support these dudes forever. COMMON, MOS DEF and TALIB KWELI all came to the stage simultaneously and they assisted each other on their various hit songs. The crowd sang along as well, especially for MOS DEF’s classic song ‘Umi Says’, TALIB KWELI’s hit ‘Get By’ and the mega-joint from COMMON SENSE, ‘I Used to Love HER’. This was Hip-Hop at it’s best. It was spiritual on a level similiar to a communion. These songs all reminded us why we love this music so much. We were re-energized through our reminiscence. Like the feeling you get everytime you hear ‘T.R.O.Y.’ by PETE ROCK & C.L. SMOOTH. Too bad they weren’t here too, but the best surprise of the night was still in store. How big is DAVE CHAPPELLE to engineer the reunion of the FUGEES?!? He must have talked some serious Hatian patois to all of them for that reconcilliation. I can’t even do their set justice by trying to describe it in words. LAURYN was all in CLEF’s face for ‘Lost Ones’. PRAZ barked his lines for ‘FuGee La’. CLEF played guitar for his hit ‘Call 9-1-1’. The ultimate magic came for the FUGEE classic sung by LAURYN, ‘Killing Me Softly’. The only thing left for DAVE CHAPPELLE to do would be to wheel out B.I.G. and TUPAC’s caskets and place some microphones on them. I feel like I owe DAVE CHAPPELLE some paper for all the work he did to put this show together. Instead of giving him some money right now I will just put my name on his e-mail list. I prefer the classics that never go out of style. The types of things that just get better with age, like Little Rudy and Miss Olivia from the Cosby Show. These are definetly the last days and times if for no other reason than the fact that white girls are coming out with booty… AND THEY ARE EMBRACING IT! You have to peep the essay by this admittedly pale white chick, SLOANE CROSELY, as she discovers the inner power of the outer. It’s a cute little piece but she fails to mention how white broads cheat by wearing those SEVEN FOR MANKIND and FRANKY B jeans(there must be padding in them). White, Spanish and Indian girls are all on the come up right now, but so were VON DUTCH trucker hats three years ago. Like I said, I prefer the classics. You are currently browsing the dallaspenn.com blog archives for September, 2004.